Early this morning I got a secret email and I did a happy dance. While I was shopping at WalMart I got a phone call and I did a fist pump. You probably know already but the 7 member board of medical experts who advise the Congregation of the Causes of Saints at the Vatican unanimously approved my son James Fulton's alleged healing through the intercession of Fulton Sheen. This is still an ALLEGED miracle. Only the Pope can declare it a miracle. We've still got a little ways to go. The postulator for the cause will now provide the theologians who advise the Congregation of the Causes of Saints with information so they can decide if the healing happened because of Fulton Sheen's intercession. When they are done it will be forwarded to the the bishops who sit on the C of the C of S (not the real acronym). Then those bishops will need to decide on it and make their recommendation to the Pope. Pope Francis will have the final say. There's still more to do! Please praise God today and celebrate this good and mega exciting news! And then tomorrow go right back to praying for the cause. You can also financially support the cause if you'd like. For more information check out the official website for the cause here. And now let's all do a happy dance. Pharrell, do you mind giving us a beat? Thanks. I know I should probably be talking about how awesome this is and all, but YOU GUYS! I'm just too busy dancing! The official press release from the Archbishop Sheen Foundation is below. Peoria, IL -- The Most Reverend Daniel R. Jenky, CSC, Bishop of Peoria and President of the Archbishop Fulton Sheen Foundation, received word early Thursday morning that the 7-member board of medical experts who advise the Congregation for the Causes of the Saints at the Vatican unanimously approved a reported miracle attributed to the intercession of the Venerable Servant of God Archbishop Fulton Sheen. The case involved a still born baby born in September 2010. 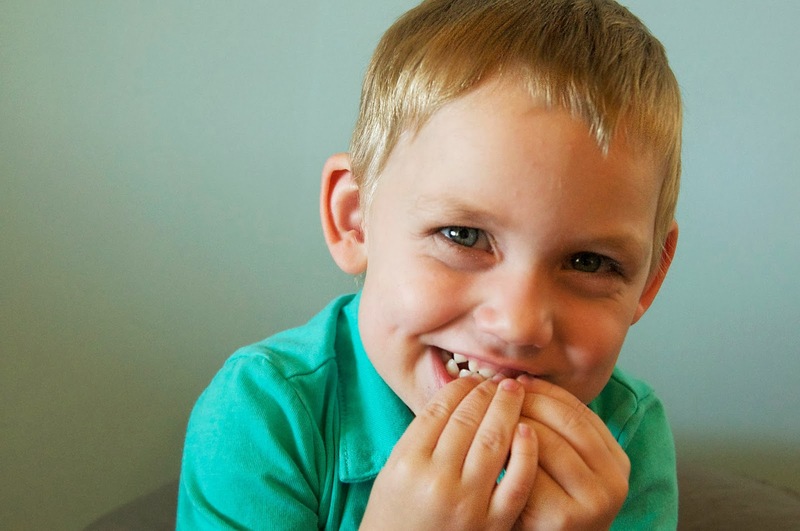 For over an hour the child demonstrated no signs of life as medical professionals attempted every possible life saving procedure, while the child's parents and loved ones began immediately to seek the intercession of Fulton Sheen. After 61 minutes the baby was restored to full life and made a full recovery. The child, now three years old, continues in good health. Today's decision affirms that the team of Vatican medical experts can find no natural explanation for the child's healing. The case will next be reviewed by a board of theologians. With their approval the case could move on to the cardinals and bishops who advise the Pope on these matters. Finally, the miracle would be presented to Pope Francis who would then officially affirm that God performed a miracle through the intercession of Fulton Sheen. There is no timeline as to when these next steps might move forward. "Today is a significant step in the Cause for the Beatification and Canonization of our beloved Fulton Sheen, a priest of Peoria and a Son of the Heartland who went on to change the world. There are many more steps ahead and more prayers are needed. But today is a good reason to rejoice," commented Bishop Jenky. 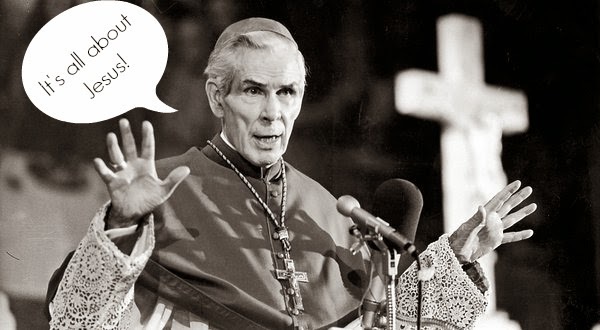 Fulton Sheen was born May 8, 1895 in El Paso, IL outside of Peoria. His family moved to Peoria so that Fulton and his brothers could attend Catholic school. He grew up in the parish of the Cathedral of St. Mary where he was an altar server and later ordained a priest of the Diocese of Peoria. After advanced studies and service as a parish priest in the city of Peoria, Fulton Sheen was a professor of philosophy and religion at the Catholic University of America in Washington, DC. In the 1930s he became a popular radio personality and later a TV pioneer. His weekly TV program, "Life is Worth Living" eventually reached 30 million viewers and won an Emmy award for outstanding TV program. From 1950-1966, Bishop Sheen was the national director of the Society for the Propagation of the Faith in the United States, the Church's primary missionary apostolate. In 1966, he was named Bishop of Rochester of New York where he served until his retirement in 1969, when he was named honorary Archbishop by Pope Paul VI. Fulton Sheen died at the entrance to his private chapel in his New York City apartment on December 9, 1979.
testimony from around the world and reviewed all of Sheen's writings, before sending their conclusions to the Vatican. In June 2012, Pope Benedict affirmed the investigation that Sheen had lived a life of heroic virtue and holiness. Sheen was then titled "Venerable." BTW - "The postulator for the cause will not provide the theologians who advise the Congregation of the Causes of Saints..."
Should that "not" be there? You're right! It should be "now"! Yay, Bonnie! I read about this via a news article that I saw on my Facebook wall and instantly realized, " I know who this is about!" I am beaming with joy for you and our Church! But yeah, the sentence JoAnna pointed out had me confused. Is that a bad thing (the way it is worded now with the "not")? I hope it isn't a deterrent! Yay! I am so excited for you and your family and your town! Great news. Your program last evening was very moving. Eeeeek! I am so blessedly happy! This is awesome! I'm so excited for you and your family!! Praise God!!!! This is wonderful news, and your joy must be over the top right now. Praise God! Venerable Fulton Sheen...pray for us! Brought tears to my eyes! I would be having a major Dance party after receiving this news. I'm a fairly new reader, but I love your blog. This is AMAZING! Oh my goodness, what a story! It gave me chills! This came up in my facebook newsfeed :) So happy for you, your family and so thankful for God, our Church and the Saints! Wow wow wow, I hope you are saving all his clothes and not washing them so you can give us all relics one day! God is good! Let's dance! WAHOOOOOO!!!!! So wonderful!!! One of my Facebook friends just posted this story. Beautiful to see it spreading!! Hi Bonnie, I just wanted to say that I first read your story (on your old blog) after James' healing was first in the news when the Vatican investigated him, a year or so ago. I was so moved, and I have been reading your blog ever since. I am so happy for this news! By now I almost feel I really know your family well; I feel as though I have friends who have a miracle in their family. I will pray that things all turn out to God's glory. This is magnificent news! This really helps get Lent started with a bang. Wonderful news Bonnie! A big step in the right direction! Not only are you helping Fulton Sheen's cause, but you are also reminding the world that miracles do happen. Thank you for all that you do. This is so very exciting! Such wonderful news!!! Squeee!! This is so exciting! I just read all the posts about your son last week, and to read this today is thrilling!! Bonnie, so so so exciting!! And thank YOU for opening up a world of knowledge to me about this amazing man..... Thanks to you I have become a huge fan of his. Awesome news, Bonnie! I recently read your "James and Fulton Sheen" tab along with the links you had in the post - what an amazing and powerful story! God is good! Oh Bonnie, this is amazing! Just so awesome. Really. Truly. Awesome! I just read about this and I'm crying! I'm so happy for you and your family! I was so happy after hearing about the miracle of your son James. I have been following Archbishop Fulton Sheen for many years. I was in his presence in the late 40's for Mass in St. Mary's Cathedral. Thanks for sharing Bonnie, and I will continue to keep your family in my prayers. Thanks be to God. Super exciting! It's amazing how much more aware of Fulton Sheen I have become since stumbling upon your blog. People everywhere are mentioning him, and I don't think I would have caught it if I hadn't have read about it here first. So incredibly happy for all of us! And for your amazing family's experience!! I already know that Bishop Sheen is in heaven...and I continue to spread the news! Congratulations to you and your family on the beautiful miracle of your son. I am so interested in hearing more details about your experience. I am a neonatal intensive care nurse. I am blessed to attend deliveries of full term and pre term babies. I have done several resuscitations of babies and I would love to talk with you!